Pasture Living: Is Your Honey Pure or Fake? The health benefits of honey, especially manuka honey, is widely known and the honey industry has caught on this as a money-making business and they are good at making honey look real even though they are not. For those who don't know, it is easy to get tricked into buying fake honey. Even for those who understand, labeling on honey can be misleading. Honey can be labeled as "real" or "natural" and they do not mean anything. They may be well have been heated or pasteurized, damaging the natural enzymes and nutrients found in raw honey. Do you know that to boost profits, some honey manufacturers even dilute honey with water, cheap sugars such as corn syrup or molasses, and then they add flour, starch, even chalk or sand, to increase the thickness of the honey? You are almost guaranteed that the rows and rows of honey you see in the supermarket aisle are not real honey. Prices are not always a good indication of quality honey and it's almost impossible to tell the bad from the good by just looking at the honey. Raw/Unpasteurized Honey: This honey comes straight from the honey comb and it is unheated, retaining all of the beneficial enzymes and nutrients. This is the honey that you want. Raw, Filtered Honey: This honey has been heated slightly to make it easier to filter out small particles like pollen and propolis. The result is a somewhat cleaner (raw) honey but it doesn't contain all of the benefits of unpasteurized honey. It's still a better option compared to pasteurized or "natural" honey. "Pure" honey label only means that there is read pure honey inside, but it doesn't guarantee its pure honey content is 100%. 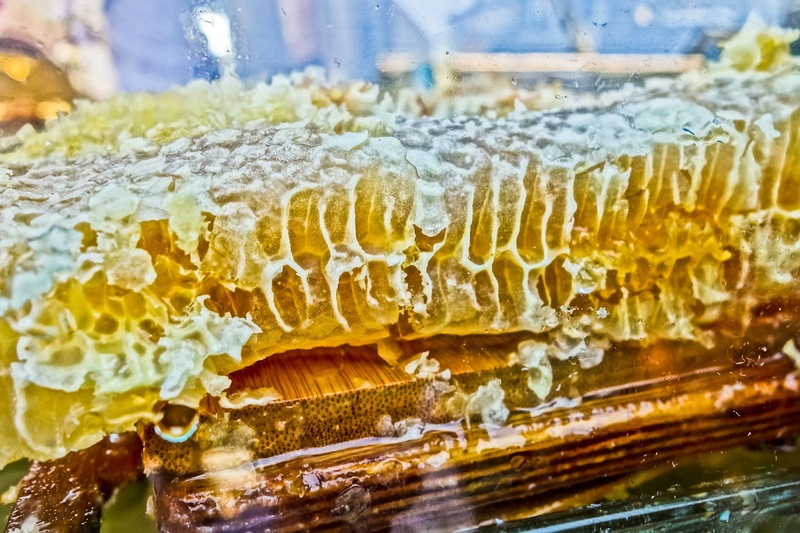 It can mean that it has been diluted with water or corn syrup, that is why the honey may be more runny, just like syrup. It is also most likely that the honey has been heated, destroying the natural enzymes that are present in raw honey. 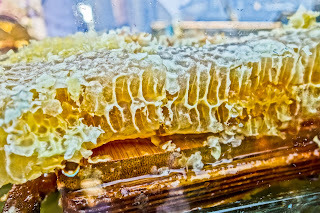 Natural/Organic Honey: By now you probably already know that the term "natural" or "organic" do not hold much meaning. Like "pure" honey, it is almost guaranteed that it has been adultered, heated, and/or mixed with fillers. Pasteurized Honey: You would rarely (or never) see honey containers that say it's "pasteurized." People often associate honey that does not crystallize as good honey, when in fact crystallization is normal in raw honey. Heating the honey and killing the enzymes through pasteurization ensures that the honey will not crystallize as quickly, but this is it, many do not know that this is a practice that destroys all the goodness in honey. How to Test for Honey Purity? - Hold a lighted match to the honey. If it is raw honey, it will melt and not begin to hiss straight away. - Mix the honey in the water. Raw honey will not dissolve. If you add 2-3 drops of iodine to the solution, it will not turn blue. - Put some honey onto a piece of paper. If a damp patch spreads around it then it is diluted. - Dip a piece of stale bread into the honey. After 8-10. Minutes it should be firm and not soften. - Mix some water into the honey and add 2-3 drops of vinegar essence. If the solution becomes foamy, it is not raw honey. - Heat a stainless steel piece of wire and insert it into the honey. Raw honey will stick to the metal and not flow back into the jar. My stance is no matter how cheap a "pure" honey is, it's not worth the cost if it doesn't contain the natural beneficial enzymes or if it has been adultered or diluted with water or cheap sugars. The best is to always buy raw/unpasteurized honey , preferably locally so you know where your honey comes from. I visited a bee farm while in Cameron Highlands, and asking questions directly to the people in the farm is the surest bet that the honey is 100% raw. Can share your favorite raw, unpasteurized honey sold in Singapore? This was such a great post! Thanks so much! So happy to add you to my circle! Very useful information provided abt honey. It surely help me to purchase correct product from the store in future. Thanks for kind efforts.